Advertised price is for the displayed 2.5 Seater sofa + 2 x Chairs and Matching Ottoman. The 2.5 Seater Sofa is in Fabric Range ""Bohdi""- Colour Pictured is Periwinkle, whilst the Chairs are in Fabric Range ""Bianca"" - colour pictured is Ocean. Our Capri range of sofas and arm chairs will add an elegant, modern touch to your living room. Finely crafted right here in Australia, the Capri is made using the best quality materials including Dunlop 15yr warranty seat foam. 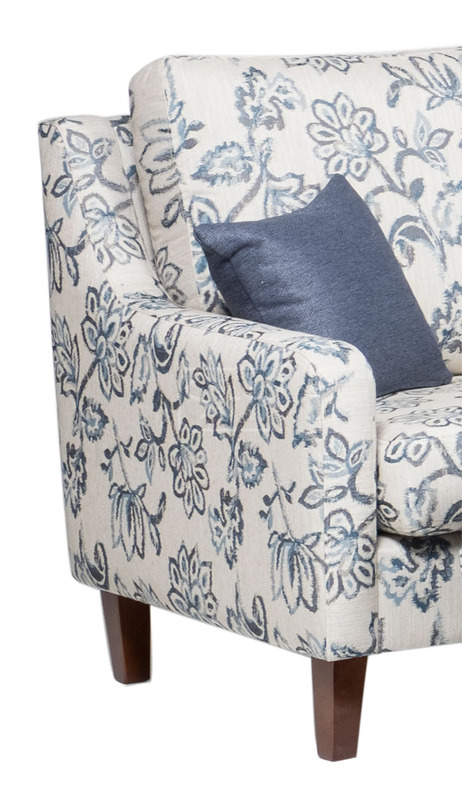 The Capri is styled with slender, curved arms, a medium height back cushion and a comfy seat with just the right depth. The Capri lounge suite is on display in our showroom at 4 Nursery Rd Campbelltown. Feel free to visit us 7 days a week between 9.30am-4.30pm to try inspect before purchase.